Smoke Damage Company In Long Island NY-True Restorations Inc. 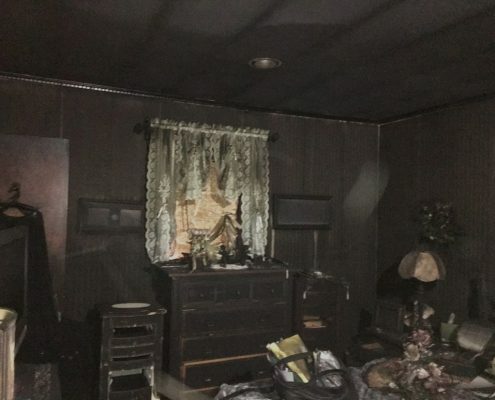 True Restorations in Suffolk County & Nassau County Long Island NY is a smoke damage restoration company that specializes Odor/Smoke Cleanup, Removal, and Home Deodorizing. 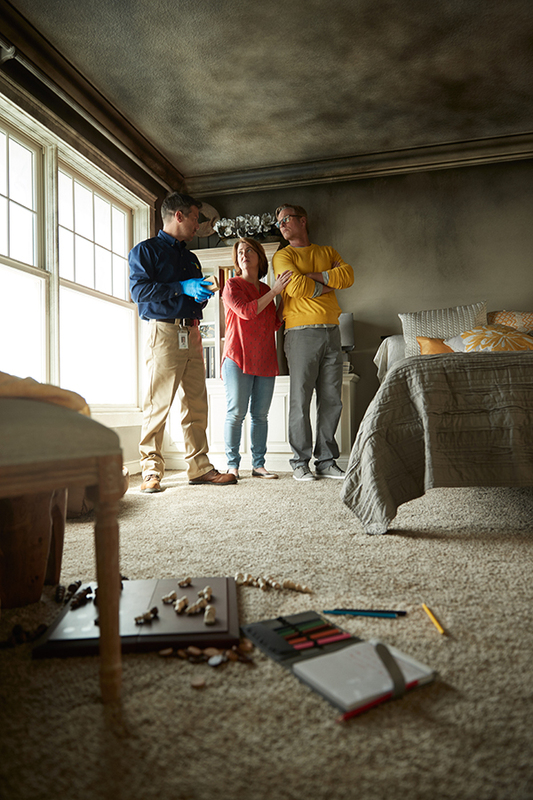 Truly, no dwelling or establishment is considered safe when it comes to smoke damage. Soot particles, invisible to the naked eye, can remain airborne for well over a week after a fire and can be inhaled by occupants which can cause ill health effects. One must put in mind that emergency restorations should be done immediately to prevent further damage to contents & interior finishes. For smoke removal and odor cleanup, you are advised to consult a reliable restoration expert to address your current condition, True Restorations staff is IICRC trained for fire & smoke restoration services. Smoke damage may happen due to fire, cigarettes, or cooking, it can ruin electronic appliances and its smoke odors linger overtime soaking into carpets, walls, and furnishings and other porous surfaces. The True Restoration’s team of experts is dedicated to solving these problems, through years of experience and research. Treating a smoke affected structure is not a job for a homeowner/laymen or even an ordinary contractor. We, as an expert in smoke damage restoration, help our clients start a smoke insurance claim and guide them all through the process. Using Xactimate estimating program, we utilize same estimating database applied by most insurance providers. By using this program, it allows us to communicate directly with your insurance company on your behalf and come to an acceptable insurance payout which eliminates additional costs for our clients. Air Scrubbers – An air scrubber combined with an activated carbon or charcoal filter is a very affective means for odor removal. The HEPA filter within the air scrubber will remove air pollutants that are invisible to the naked eye down to 0.3 microns. Toput that in perspective, a human hair has a diameter of 100-150 microns and the human eye can only see to 10 microns. pollution from the environment. Air pollution can’t be seen with the naked eye. can take up to 10 days. terminology is based on the manufacture selling the product. 2.2 lbs of activated in them. Removal & cleaning of textiles (clothing, drapes, bedding, etc.) will drastically lower the odor in the property and is the next step of remediation / cleaning process. vacuum reduces the particles that can be re-released into the air. with a soot or dry sponge will pull some soot out of the pores of porous materials. the most dangerous if not used correctly. o Only use in vacant houses with no fish tanks and on a timer. takes days to do what ozone does in hours. fogging work in conjunction with each other. air where it attaches to the odor causing molecule to neutralize it. 4 ounces controls 200 Sf of area. odor molecules and neutralizing them. only be used in unoccupied fully gutted houses. August if the process is not followed). True Restorations will repair & restore all interior finishes affected by the smoke cleanup process. The mitigation only franchises will leave you with an incomplete project causing you additional aggravation in coordinating other contractors to come in and finish. 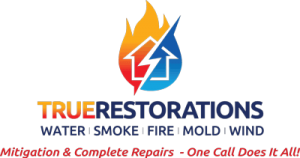 Our one call does it all approach makes True Restorations the best smoke damage restoration company in Nassau & Suffolk County. cleaning techniques may cause further damage. DO– empty you refrigerator, freezer and cabinets of all perishable items.